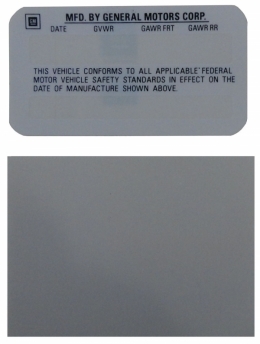 Vehicle certification kit. Includes decal & adhesive clear cover. Replaces original GM part #354048. Top quality, licensed reproduction. MADE IN THE USA.